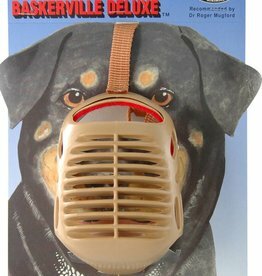 Sturdy muzzle that allows drinking and panting. 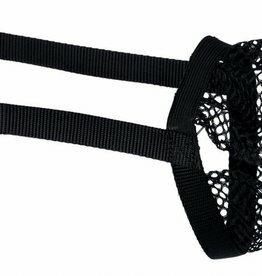 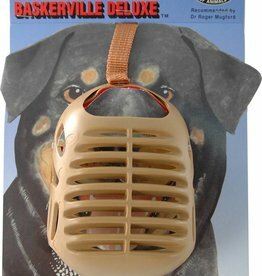 Company of Animals Baskerville Dog Ultra Muzzle is designed to protect against bites but at the same time be comfortable for the dog. 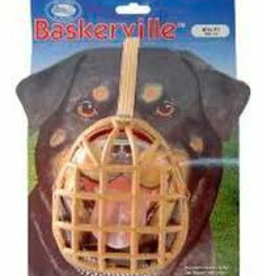 It also allows dogs to drink, and pant. 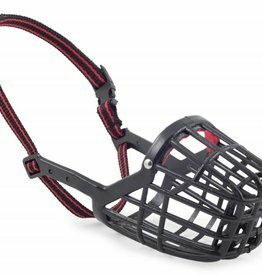 The Ancol Plastic Muzzle is a sturdy and robust muzzle designed to protect others in environments and situations that make your dog nervous or aggressive. 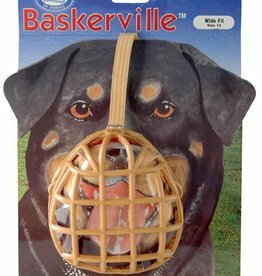 Helps to prevent your pet from taking up baits or other things it should not do when out walking.